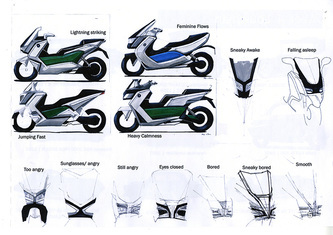 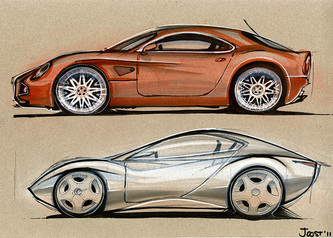 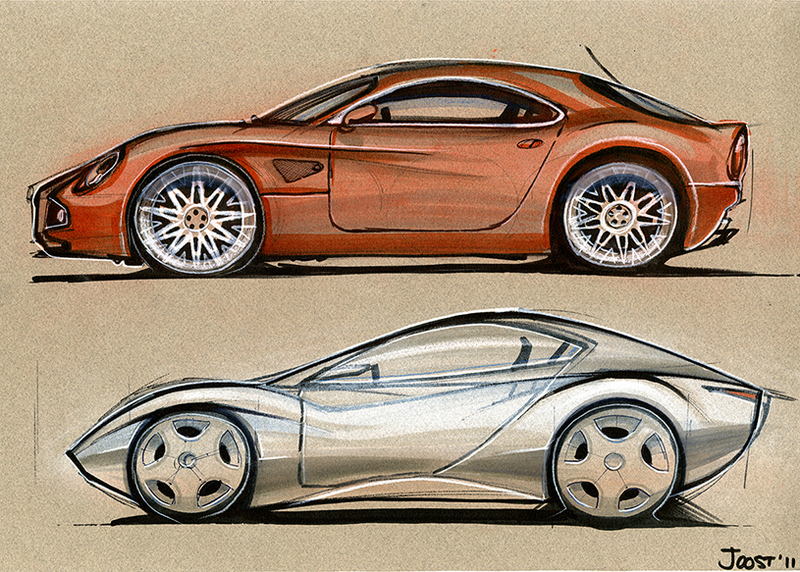 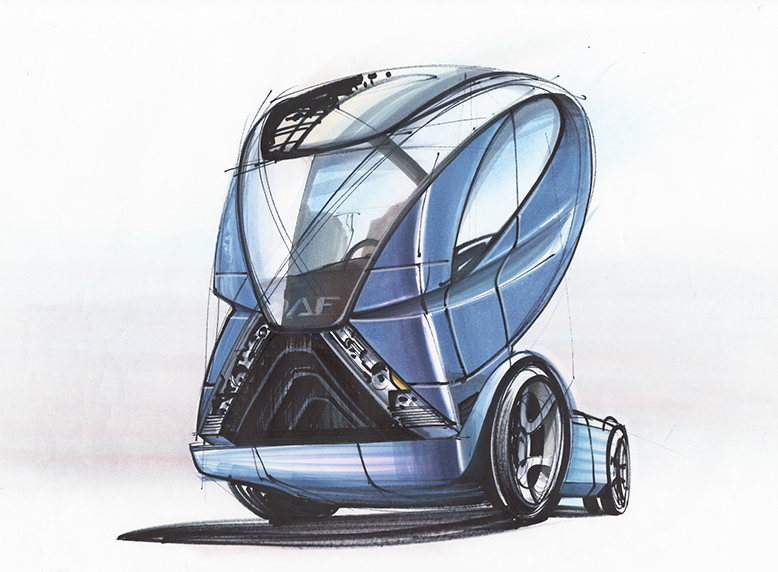 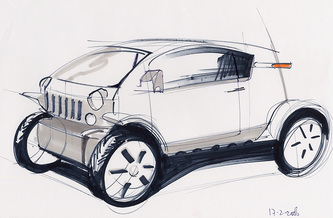 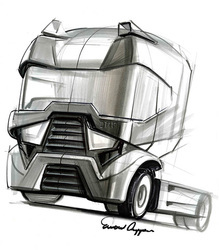 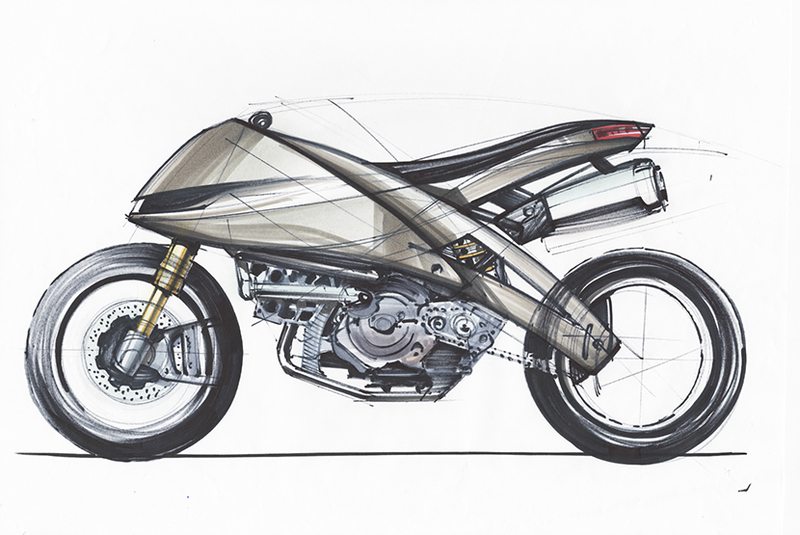 The automotive sketching course teaches students to apply various techniques and materials in order to make informative and also pleasant, easy to read sketches. The course set up stresses the importance of observing (and copying) shapes, cars and perspectives, and consequently the ‘construction’ of complex car shapes. 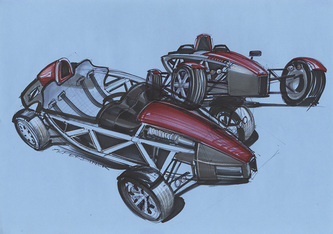 The ultimate goal is to accomplish expertise and comfort and fluency (pace as well) when designing and drawing vehicles. This course specifically addresses the automotive design field, however it provides very helpful knowledge, skills and reference materials for the broader field of industrial design as well. 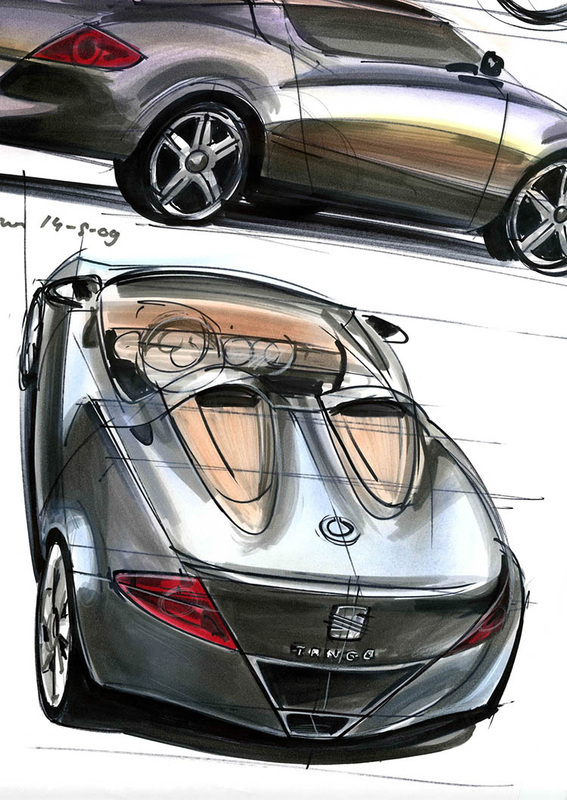 In other words, automotive sketching offers an advanced course for understanding and visualizing complex shapes, in an automotive context.